Cambridge, Massachusetts—Jose Mateo attended his first ballet while studying at Princeton University, an event that would change the course of his whole life. Up until that point, Mateo had been unaware that the world of ballet existed. He realized that was due to the inaccessibility of dance to the average population. In 1986, Mateo founded the Jose Mateo Ballet Theatre as a way to bridge the physical and cultural gap in access. The Ballet Theatre had a new repertoire of work that intentionally differed from the themes of traditional ballet, and the training methods in its ballet school dispensed with the idea of a "perfect ballet body." Though the Ballet Theatre was always able to pay its bills, it was never able to get ahead financially. 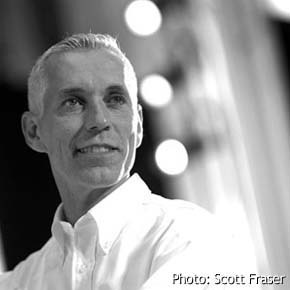 Scott Fraser, managing director, has been with the theatre for twenty-four years, helping to solve the problem of how to keep the theatre afloat. "For the last decade, this has been a stable organization, but stable is very different from sustainable," Fraser says. He and Mateo were wedded to the theatre, but they realized that future leaders might not be as committed. They concluded that they needed to provide the theatre with a stronger foundation, to ensure it would withstand the test of time. After two years spent in the strategic planning stage, Fraser and others realized that building an individual donor base was their last untapped resource. They worked in conjunction with Nonprofit Finance Fund to identify the optimal system for building that donor base. They also convened peer organizations to find out their methods of fundraising. During this process, Fraser discovered Benevon, though he and his team were initially very skeptical about the model. "It sounded much too good to be true," Fraser says, adding that what ultimately swayed him were the testimonials given by other organizations. Jose Mateo Ballet Theatre assembled a team, and they attended a Benevon training session. Their first course of action was to create the theatre's Point of Entry, which was most interesting for Fraser and his team. "It made us go back and dig into the human stories that made the work relevant for the community, and made the organization understand in a very new way just how important it had been for so many individuals," Fraser says. What resulted from their digging was a tour called "Behind the Mirror," which consists of three different stops around the theatre. At each stop, one of those "human stories" is shared. The first story is about a homeless man who was able to bring his five-year-old daughter to her first ballet because of a community program. That ballet allowed the father and his daughter to connect in a way they had never been able to connect before. The second tour stop brings visitors to the dance school where Mateo himself gives them a brief dance lesson. Afterwards, they are told the story of a woman with Down syndrome who began her dance training with the Jose Mateo Ballet Theatre at the age of ten. Consistent with the theater's mission of inclusion, she was placed in a traditional class—her first experience learning amongst other "normal" students. She has been committed to the theatre ever since, returning for a visit each year on her birthday. On her latest visit, she invited her roommates to accompany her. Observing her dedication and passion, they elected her to give daily dance lessons in the living room of their group home. At the third stop, visitors hear the story of the first festival of Mateo's legacy project, "Dance for World Community." On that fateful day, Mateo's belief about dance having the power to bring about social change was proven true; what began as a "dance-off" between an African American hip hop group and a group of Indian women engaged in a traditional Indian dance morphed into an entirely new dance form that honored both cultures. Fraser says that as his team made follow-up calls with people who had been on tours, the support they received was overwhelming. "We got more stuff than we could handle," he says. "People were clamoring, wanting to get involved, wanting to volunteer, to be ambassadors." Though it was evident that guests had been significantly affected by the stories shared on the Point of Entry tour, the team still doubted their ability to meet their fundraising goal of $40,000 at their first Ask Event. At the end of the breakfast, they were shocked when they learned that the 100 people in attendance had committed $270,000. Those people who had been to the theatre's Point of Entry gave an average of $6,700, and the gifts of those who hadn't been on a tour averaged $1,000. The Jose Mateo Ballet Theatre's plan is to build a base of individual donors that will enable it to launch a capital campaign of $10 million. That amount will allow the organization to replicate what they have done in another building in the area. 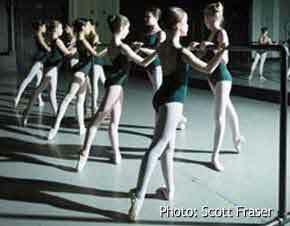 "The Ballet Theatre has in many ways been my life," Fraser says. "It is the thing I am most proud of, and it has been the thing I have been most worried about. How do I leave this intact for future generations? Benevon has answered that question for me."